Use our expertise, technology and skills to embed new knowledge into your organisation. If your business has a core strategic need or an innovative idea but is lacking in expertise and technology to make it happen, then a Knowledge Transfer Partnership (KTP) is an excellent vehicle for making it happen. KTPs have been helping businesses to improve their productivity and grow for over 40 years. They provide funding support to help businesses collaborate with universities, and a framework to ensure that new knowledge and technology gained from the project is embedded into the organisation. The pioneering project we are collaborating on with NTU’s Optical Imaging and Sensing experts will give us competitive advantage, bringing cutting edge engineering solutions to the market place. International Geoscience Services - awarded the highest grade of 'Outstanding' by KTP. 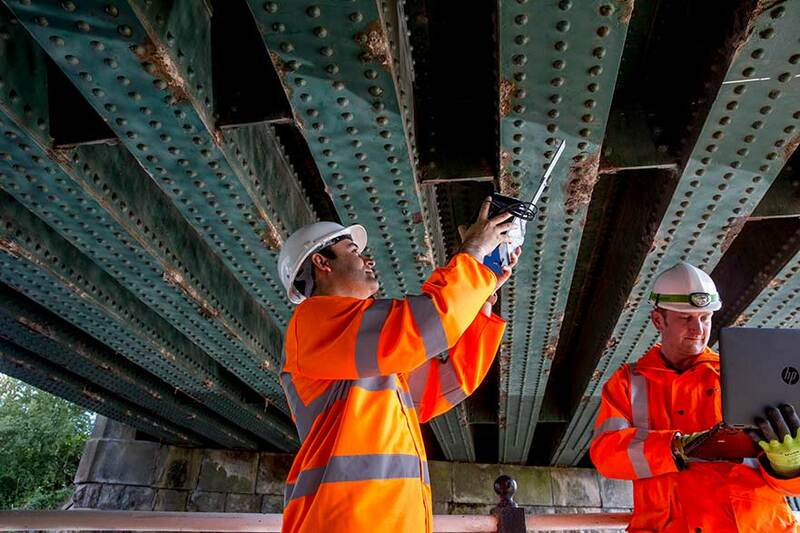 Opus International Consultants - improving detection and classification of corrosion on steel structures. Alkane - creating 'green energy' from abandoned mines. Knowledge Transfer Partnerships (KTP) enable businesses to bring in new skills and expertise to a project on a fixed-term basis. They are part-funded by Innovate UK, to improve business performance. The graduate works within your organisation, but has the support of an NTU academic with expertise and experience in the field of your project. source and recruit the right graduate. Throughout the project, an NTU academic will supervise the graduate and provide guidance and expertise in partnership with your business. be cost-effective due to grant funding. A KTP project can lead to significant increase in profitability for business partners as a direct result of the partnership. The average increase in pre-tax profit for 3 years following completion of a KTP project is £600,000 per annum.